Report Website Technical Issues Post any questions, concerns, and technical issues you are having with the site that need to be resolved. I tried that, but it says it doesn't recognize my email address. It suggested that I contact an administrator, but that requires you to be logged in. So, I created the tpzahm2 profile in order to post this. Is there any way I can get my old "tpzahm" account going again? Sending email to admin for you. Please stand by. It's all fixed now. Thanks for your help! I've also cannot log in with my old username - misu. It does not recognize my email. So I've registered as misu1, but I want my old username back. What can I do? Is it possible to connect my email address of username "misu1" to my old username "misu"? Or what proof of ownership of that username should I provide? Thenk you for your help. Go to the forum Report Website Technical Issues. See the thread titled What to do if you need a password reset. Or, go to the Site Announcements forum and see the thread titled Getting your password reset. 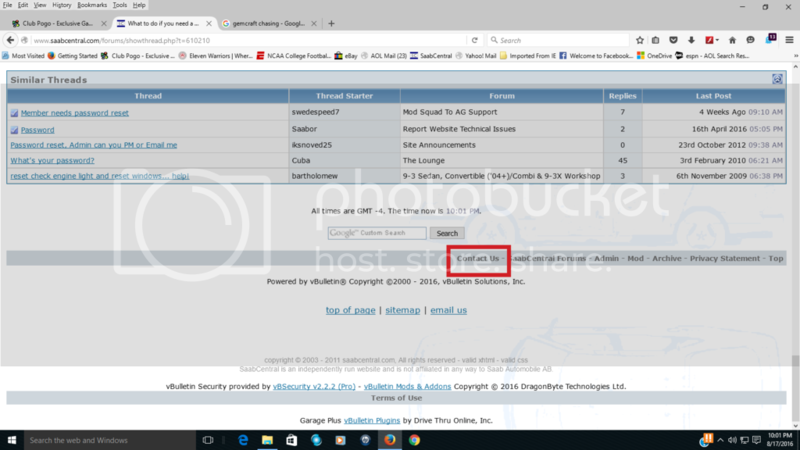 Or go the Lounge forum and see the sticky thread titled Getting your password reset. Or, scroll down to the bottom of this page (this page you are on right now where you are reading this). After you have clicked the "Contact Us" button, draft an message that provides your old, original username and old, obsolete email address associated with it. Then provide your new username and new, current email address. The admins will take your new email and update your original account/username with that and merge your new account into the old account, with the old, original account being the surviving account. Anyone else need help? Or you guys know any friends in trouble? My username (Mimmi) and password do not match. When I try to reset password, I do not pass captcha. Please see post no. 6 of this thread. Use the "contact us" method to directly inform the admins of your issue. There was huge problem, because I have received NONE password messages. I have tried multiple times to reset password, but no messages. It was also quite hard to explain moderator why I need moderator to make me password. Now all is OK and I have changed password. This problem was caused by updating computer and losing McAfee's True Key. Or was it KGB, CIA or chinese 6-10 office??? are you not getting any email notifications from us at all? My e-mail is correct one. I emailed with admin (Khanh) and all is now OK.